If you are going to start your blogging journey, then I will always suggest you to use WordPress as a platform with your custom domain name. I prefer WordPress as it gives you more freedom to customize your blog. Running your blog on Blogger.com, Tumbler.com or WordPress.com don’t give you freedom. So if you want to be a serious blogger and want to monetize your blog and want to earn handsome amount at the end of every month then go buy your own domain and hosting and start blogging with WordPress. Creating a WordPress blog or site is quite easy but to maintain your blog is the real task. The most important factor, when it comes to your blog is its site speed! If you websites takes time to load then you will definitely going to lose your valuable visitors. Those sites which have more than 3 sec loading time have the most bounce rate and it is obvious that no have much time to wait neither they have patience to wait for your site to load. So don’t lose your valuable visitors and make your site load faster. I am dam sure that if you using WordPress as your blog or site platform then you are definitely using W3C Total Cache or Super Cache for your site. Even most of you guys optimize the images, minify CSS and Java Scripts and even enable the Gzip compression but that’s not enough in speed optimization if you people are not using CDN for your site. By using CDN(Content Delivery Network) and you can see the drastic improvement on your site’s speed. This way you won’t lose your visitors any more. What is CDN( Content Delivery Network)? CDN is basically a network of multiple servers that are installed at various countries. They cache all the static content of our site like images, CSS, Java Scripts and store them on their servers. So whenever a visitor visits our site, the static content will be delivered to them through the server which will be closest to them. Here in the below image you can see the difference of a CND and NON-CDN sites. In the above image you can easily see that if you request the server that is too far from your location then it takes time to load. But if the same request is made by the server which is near to your location then it takes no time to load. I think you guys better know why you should start using CDN. Now you people were thinking which CDN service to use. 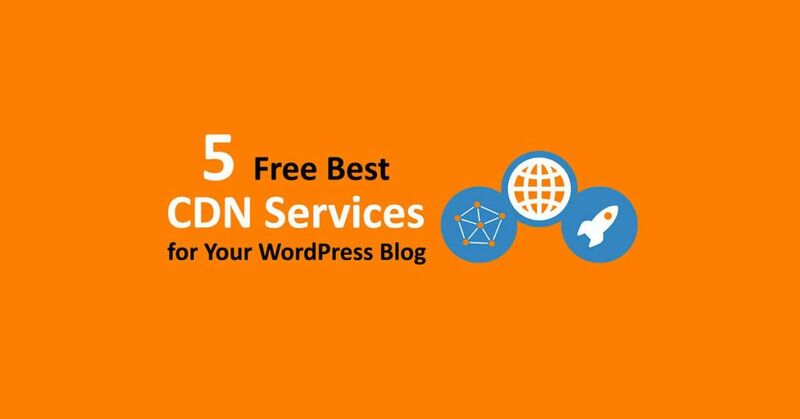 So don’t worry I will tell you which CDN service to use for your WordPress site just for free. CloudFlare is one of the best and my favorite CDN service for WordPress. You can avail their service absolutely free. Their data centers are located all over the world to serve you and make your site speedy. To integrate cloud flare with your site is quite easy. You just need to create a free account then you add your blog URL. After that Cloud Flare checks your site, then provide you with custom NS(Name Servers). You just have to point your domain to those NS and that’s it. It’s so easy and you can just do it in few minutes. Cloud Flare is the most popular because it load your site faster and on average you site save nearly 60% of the bandwidth. Here is the network map of the location of all the 30 data centers of Cloud Flare in the world. 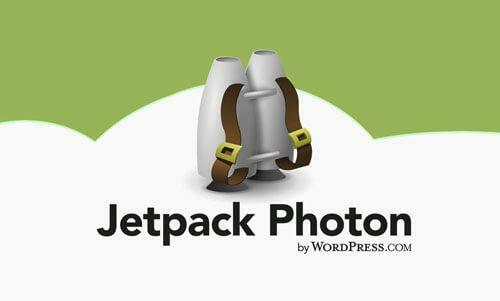 If you are running a WordPress blog, then I am pretty sure that you guys are using Jetpack plugin as well. The plugin becomes a must for WordPress blogs because it offers many options to make your blog user-friendly. One of its user-friendly option is Photon CDN! This Photon feature is different than other CDN services. If you are using lots of images on your blog then Photon feature will be helpful for you. Photon is basically a content delivery network that loads images on your blog through super speedy and powerful WordPress.com servers. To activate Photon, just install Jetpack and activate the Photon feature from your site dashboard. Swarmify is new as compared to other CDNs like Cloud Flare, but it is good because they are giving 250 GB of free transfer and that is quite amazing. They are offering free service and their service is available in nearly 196 countries worldwide. Coral CDN a project of MIT is a P2P(Peer-to-Peer) based content delivery network. This service is also free of cost because it relies on the P2P network and billions of computers are connected across the world making it absolutely free. Coral serve the static content through their servers by appending nyud.net to the URL. These are some of the 5 Free of Cost CDNS to boost your WordPress blog site. There are also other options which are much better but obviously you have to spend some money. Here are some of the Paid CDN Network. They are the giants in CDN network. Nearly all well know sites use MaxCDN to deliver their content and keep themselves super-fast. MaxCDN package starts from $9/month. Incapsula just won’t provide the site speed by also provide the website security and DDos protection as well. The content delivered through their globally powered networks. Their packages start from $19/month. If you want to pay for what you use then this CDN is for you. Their price starts from $0.12 per GB for the first 10TB after 40TB their price will be $0.10 per GB. For better idea check out their Plan. Amazon AWS offer a free 5GB of Amazon S3 storage and get 20000 get request and 2000 put requests. Check out Amazon AWS Pricing for better idea. Use free CDNs if your traffic is nearly 100K Unique Visitors per month. But if you have above 100K Unique Visitors then go for the Paid one. After all if you are getting high volume of visitors then you should have to invest in you blog/site. So don’t loose your site and start using CDN today. I again prefer CloudFlare. I hope you like this article about free CDN services. If you need any help integrating CDNs you may ask and comment us. If you are using some other CDN and you think that is good for other too then please share with us. We love to share your though.